Norma Ibarra says Cuba has a vibrant skateboard scene — impressive for a country with no skate shops. For a country with no skate shops, Cuba's skateboarding scene is incredibly vibrant. That's what Vancouver skateboarder and photographer Norma Ibarra says. 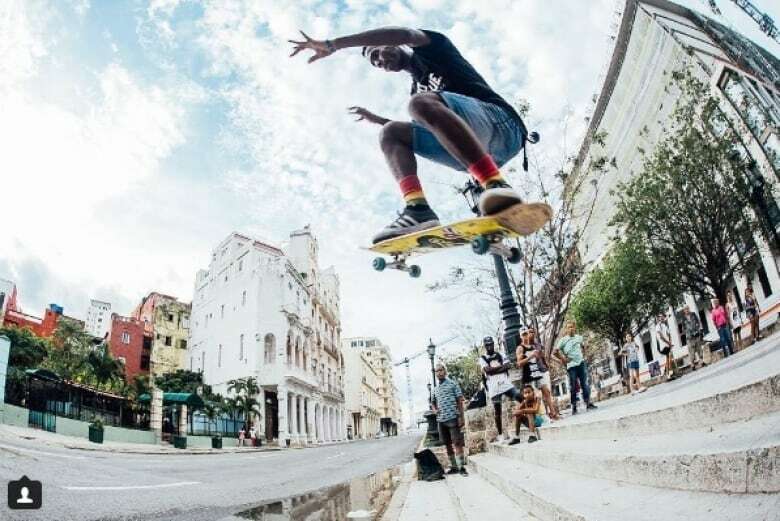 She is in Havana to photograph the people who are part of that scene and to donate 10 skateboards. "Skateboarding is still considered something rebellious. The kids get in trouble if they skate in certain areas, so it's sort of illegal," she told On The Coast guest host Gloria Macarenko. "The kids have to wait for people from all over the world to bring stuff so they can skate. The kids who want to get into it have to wait until someone decides to give them a skateboard. So it's tricky." She says Cubans also have no way of replacing lost or damaged gear, which means even when skateboards are donated, they sometimes don't last long. Ibarra's donated skateboards are from Vancouver's skate community and she plans to donate them mainly to girls in Cuba. Skateboarding helped her in her own life, and she wants to pass that on to girls in Cuba. "The challenges, and the rewards that you get when you know that you're progressing, it's really good," she said. Ibarra says she's not the only one working to spread the sport in Cuba. Some work on building do-it-yourself skateparks which are tricky to develop in the one-party state. "There's a couple of street spots, but they have to skate at certain times when the police aren't around," she said. "You always find a way."